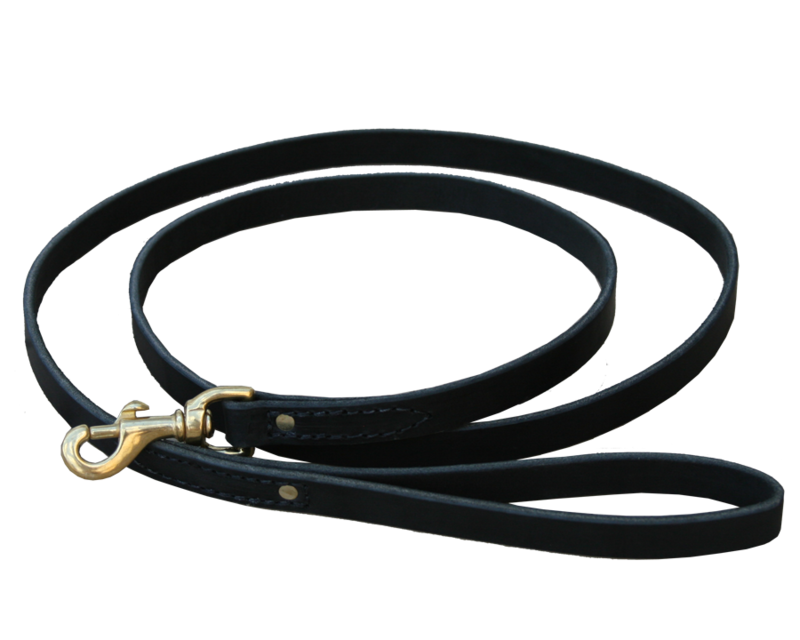 Constructed of thick Latigo leather, 6' long, 3/4" wide. Reinforcing stitches with brass rivets at each end adds strength. 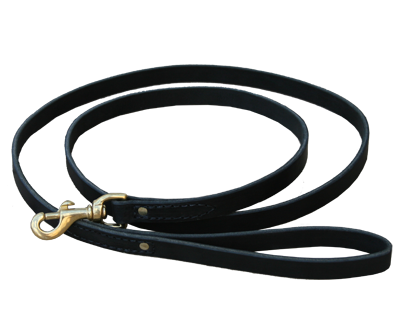 This leash is outfitted with a 3/4" solid brass swivel snap.